Lessons in culture come at the most unexpected times, and one of our most enjoyable introductions to Spain came during a layover in Madrid. You see, we had one of our favorite layovers: the ones that provide enough time to leave the airport. Within an hour of touching down, we had a chance to experience the tapas culture in Spain. Let us tell you what we learned. 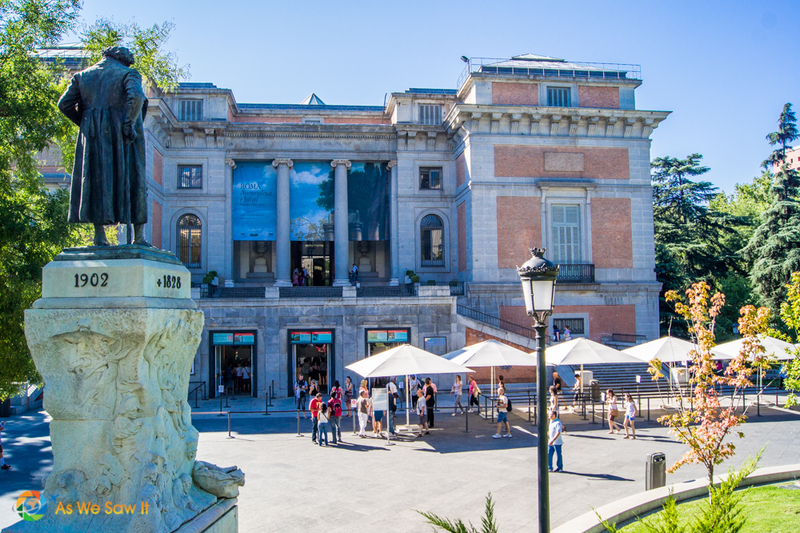 A well-planned Madrid layover will give you plenty of time to enjoy some Spanish tapas. Spaniards generally eat lunch between 1 and 3 pm, and dinner is usually served between 9 pm and 11 pm. It's a long time between lunch and dinner, so the locals cover their hunger at tapas bars. If you go to a local bar and order a drink, you’ll often get a free tapa. Though a few of the traditions differ throughout Spain (you can enjoy it from Barcelona to Andalucia), one thing remains the same. Tapas involves the experience of sharing small bites with friends. Some tapas are free with your drink, others are not. Some are actually served as “raciones” (plates to share) and others are served on pieces of sliced bread (which makes them “pintxos”). Spain's customary wine bar culture is to bring a plate of tapas to the table along with the first order — anything from a bowl of almonds, olives or marinated beans, to a plate of cheese or meat. That's tapas for you: You don't get a lot with your drink. I suspect that a lot of the popularly served tapas are intentionally salty. After all, they would make patrons more thirsty and thus they will want to drink more. On the other hand, you only get a free tapa with the first glass. Also, it's only one per table, which means that you'll have to share with your table mates. If your appetite is screaming for attention or the waiter brought you a tapa that was so delicious that you want a second order, plan to spend about 2-3€ each. Alternatively, you can order a racion (large plate) or two to share with your friends. But there's also another option. Spanish culture includes a lot of bar hopping in the early evening. They even have a verb for it: tapear. After all, they'll get a free tapa with the first drink, so they've got it figured out. Locals generally only order one glass of wine per bar, then settle their tabs and head to the next. Even though liquor and mixed drinks are readily available, the cervezas and local wines are so inexpensive (and delicious) that I don't recall ever seeing anything else on the table. Tip: Go to bars on side streets. Yes, the ones that look like local hangouts. Besides the fact that some bars in tourist areas have quit serving tapas, rumor has it that the tapas that are prepared for locals are better quality. Also, people commonly eat their tapas standing up at the bar or at small tables, rather than sitting down at a table. It stands to reason, because tapas are informal and the bars are often busy. When you go, expect the atmosphere to be convivial and noisy. Whether for religious or health reasons, many people have dietary limitations. Some people have issues with gluten, nuts, or seafood. We follow a Biblical diet, meaning we don't eat scavengers like pigs and shellfish. One of us is also sensitive to grains. These days, it's always something. You might think Ensaladilla would be a safe vegetarian option, but sometimes this simple potato salad with mayonnaise also contains tuna or prawns. And even gazpacho contains bread. But don't let food sensitivities stop you from traveling. We enjoyed Spain even though ham is ubiquitous all over, and they like their prawns as well. If your server is clueless about what's in a dish, ask him to check with the chef. I've not figured out an easy way to avoid wheat or gluten, but the least complicated way to avoid the meats is to tell the waiter that you're a vegetarian. “Soy vegetariano/a. Que tapas no tienen carne ni pescado?” (I’m vegetarian, which tapas don’t have any meat or seafood?) I don't know if that always does the trick, but I do know that they never brought us anything that even slightly resembled meat or prawns when we said that. We were thrilled whenever a waiter brought us a bowl of olives or a few pieces of cheese. Avoiding tourist areas pays off: Prices and food are better on the side streets. But if because you don't speak Spanish, don't worry about that. English tourists have paved the way for you, as have the movies and public schools, so you'll find English is widely spoken in larger cities. Feel free to use whatever Spanish you know; it enhances the travel experience. Keep in mind that most people don't mind when visitors mangle their language. They just appreciate the effort. In Barcelona and the surrounding area, you may overhear some people talking in something other than Spanish. They are speaking Catalan, the regional language (and the reason why there's an independence movement in that region). If you only speak Spanish, don't worry; they'll understand. In Madrid, we had to adjust to the Castillian accent—they use th instead of s — but otherwise it's not too hard to understand. That is, when they speak slowly enough. Here are some ideas to help you plan your own trip. 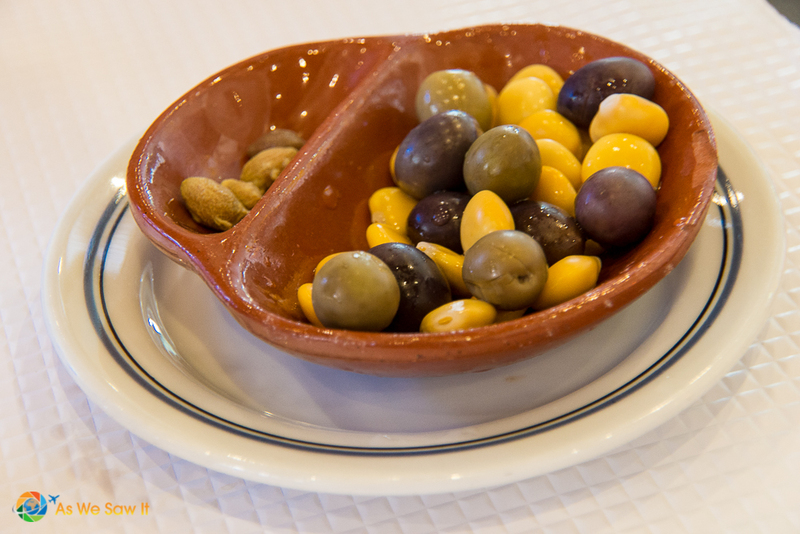 Read more about tapas offerings here. We love to use Get Your Guide: Thousands of unmissable activities and skip-the-line tickets with no booking fees and easy cancellation if your plans change. Click here to find dozens of tapas tours in Spain. Share these tapas food and culture tips with your Faceebook friends. 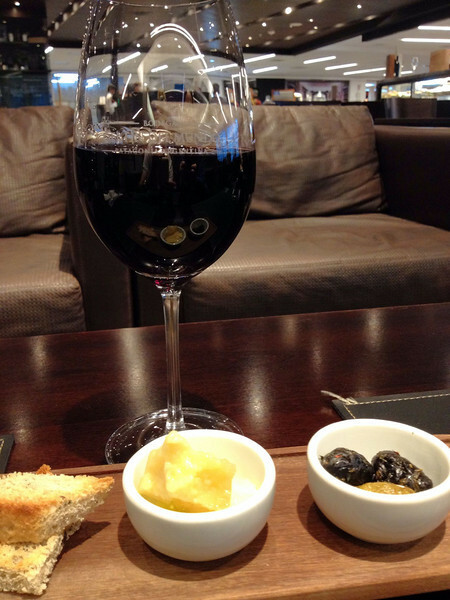 If bars give a free tapa, it may seem like an implied gesture to buy more wine or beer. Spaniards are by nature generous, so the best way to appreciate this is perhaps to buy more wine and tapas! A very interesting article, indeed. Hey, right on with most of your observations! Yes, the tapas are salty a lot of times, to make order more beer, and yes, most of the people that go to a bar, they prefer to stand up, in some bars they don’t even have tables, however, it has nothing to do with the price, its their culture, they spend hours like standing up having their beers and chatting away. Thanks for the information; it was an interesting article. And thanks as well for the compliment. That’s why we’re here: to show how easy and fun it can be to get involved in a country’s culture. We were in Madrid last November during a long layover too. Puerta del Sol is such an awesome area to hang out. Although we were traveling with kids so we never got to do some tapas bar hopping. Great insight into the world of tapas. We loved the tapas at Mercado de San Miguel. Oh, I’d forgotten about Mercado de San Miguel. We had such a blast there – stayed in Madrid decompressing for a week and did nothing but eat, sleep, and play. It’s a fabulous place. We discovered it quite by accident. How did you find out about it? Spain is in my dream vacation list but can’t go there coz of busy schedule, work, work and work. Whish this year won’t be the same and get a chance to go in a vacation. Anyways amazing article and great writing skills. Thanx for sharing your experience. I can relate, Rana. We really want to see what Asia has to offer but can’t manage it either. I do hope you can visit Spain. We haven’t seen much more than Madrid, Barcelona and Costa Brava so far. Our friend writes a blog about living in Spain (Sunshine and Siestas) and there’s so much to enjoy there! In the meantime, don’t forget that you can play tourist for a day … just by exploring near your home. For instance, we just found out that there are some wineries we can visit near to where we are in Florida. (Wineries in Florida? What a surprise that was!) Perhaps we will share that experience here, if people are interested. Thank you for the kind words, that means a lot to me. No tapas here Linda but I curiously see signs/restaurants for tapas in so many tourist areas. Interesting. As for the layover wow do I hear you. So pleasant to have a good and proper layover versus those 4 hour or less jobs where you’re stuck in the Layover Twilight Zone lol. Jet lag kicks in and you can’t get to a hotel room to get situated. Ryan, I read about your ridiculously long trip from Phuket to Fiji. Goodness – FOUR DAYS? I imagine you spent plenty of hours on ground between flights there, my friend.